﻿﻿After 4 uneventful months, it’s finally time for 2014’s first vacation! 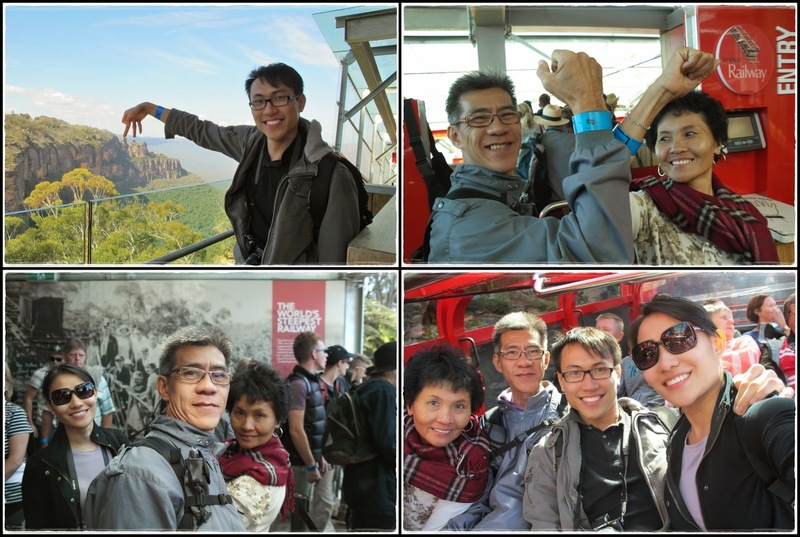 We’ve always wanted to visit the land of down under and this trip was also a good opportunity to visit dad’s friend who lives in Melbourne. 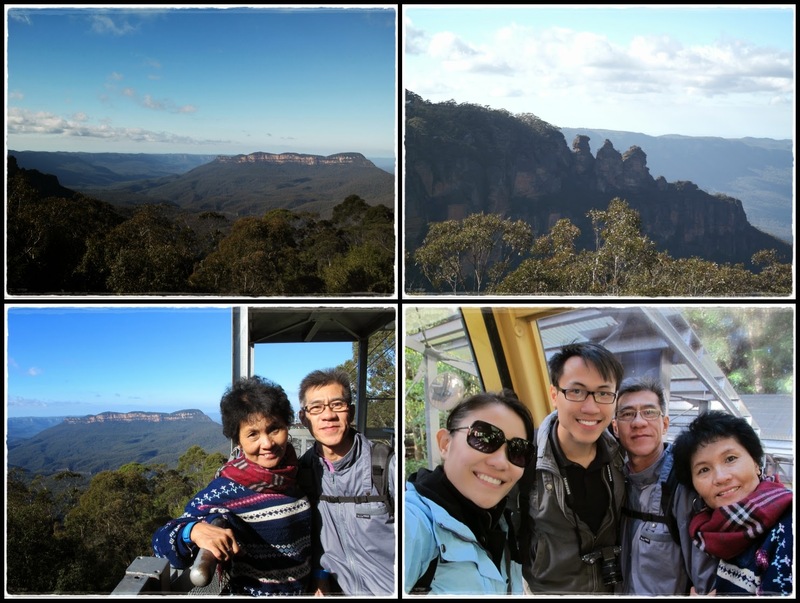 Due to some unforeseen circumstances, our trip turned out to be slightly more ‘interesting’ and it gave us more time to chillax. This post is mainly for Sydney and I’ll save the next one for Melbourne. 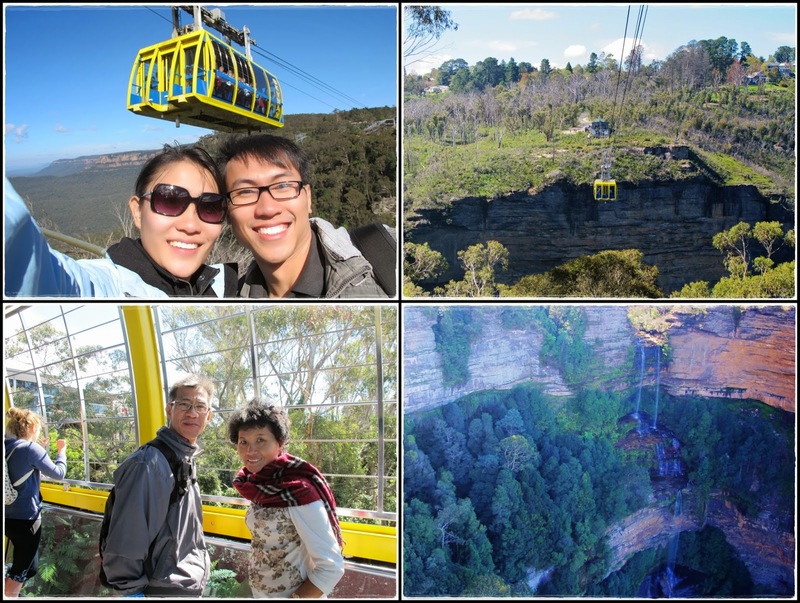 By the time we arrived our hostel in Sydney, it was already getting late. Fortunately, clearing the customs was quick and smooth, we were paranoid and very careful with what we brought coz we’ve heard how strict they could be. The cab ride into the city took only 15 minutes and cost AUD 40, not too bad coz it was still cheaper than 3 train/bus tickets. 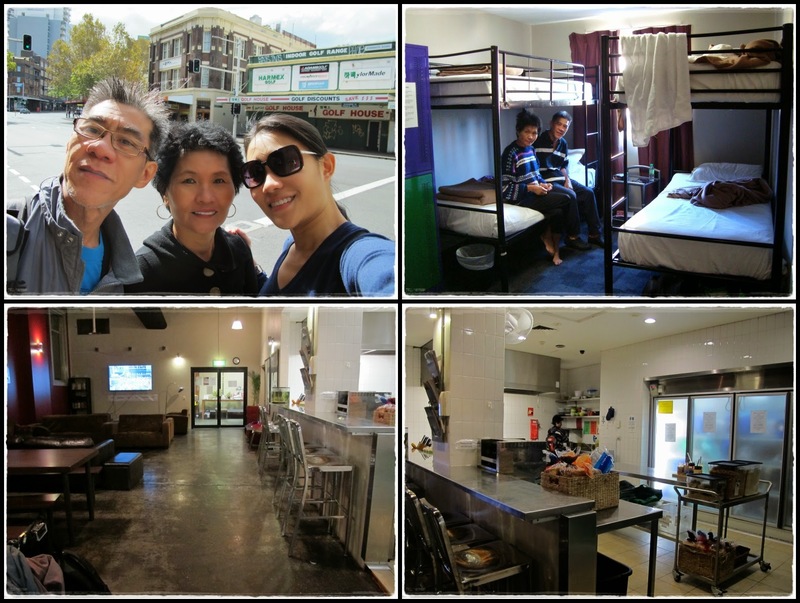 Booked a triple ensuite room at Big Hostel but was ‘upgraded’ to a 4 person room. Nothing fancy about the hostel but it was good enough for 2 nights’ stay and best of all, it was conveniently located within walking distance to Chinatown. Beautiful day for sightseeing. 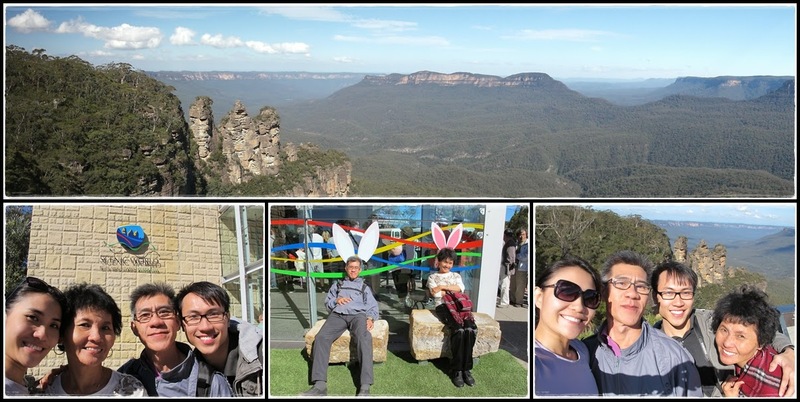 :) The weather was cool (around 18 Celsius) and the sun warmed us up a lil’. Our first stop…Chinatown for lunch and Paddy’s market for more ‘China’ feel coz obviously everything there is ‘MIC’, just that they are 5 times more expensive, but still it’s a good place to get Aussie souvenirs. 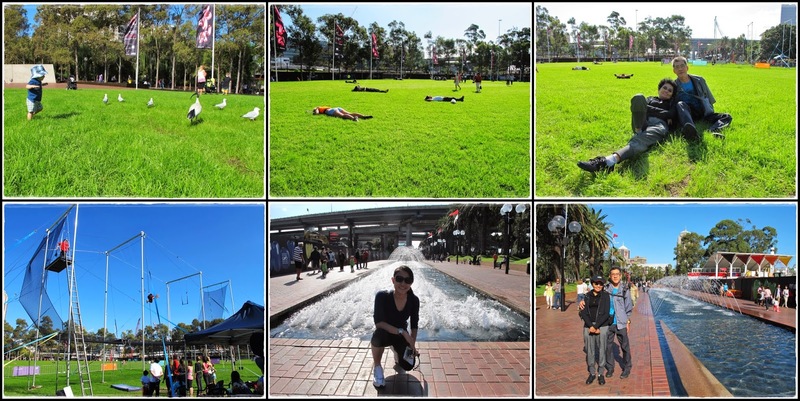 Passed by this park along our way to Darling Harbour. 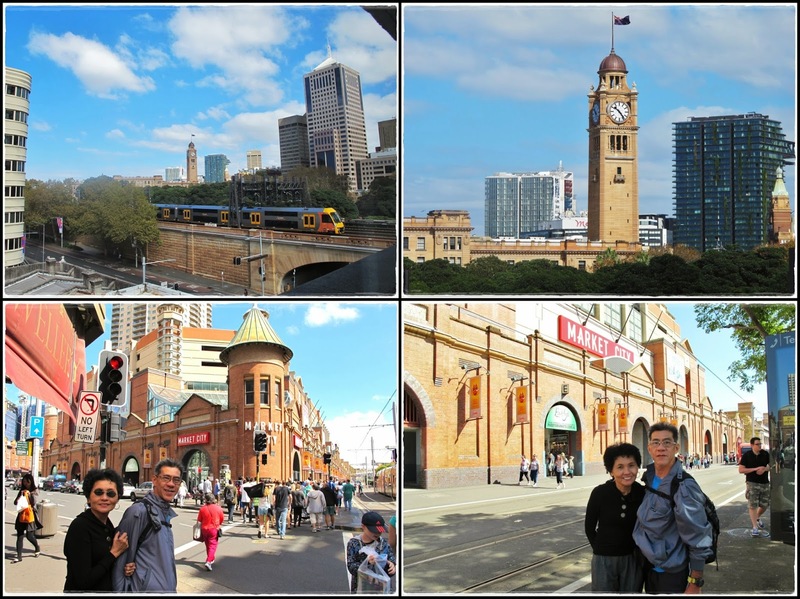 …and boarded the free Sydney CBD shuttle from Queen Victoria Building to Circular Quay. 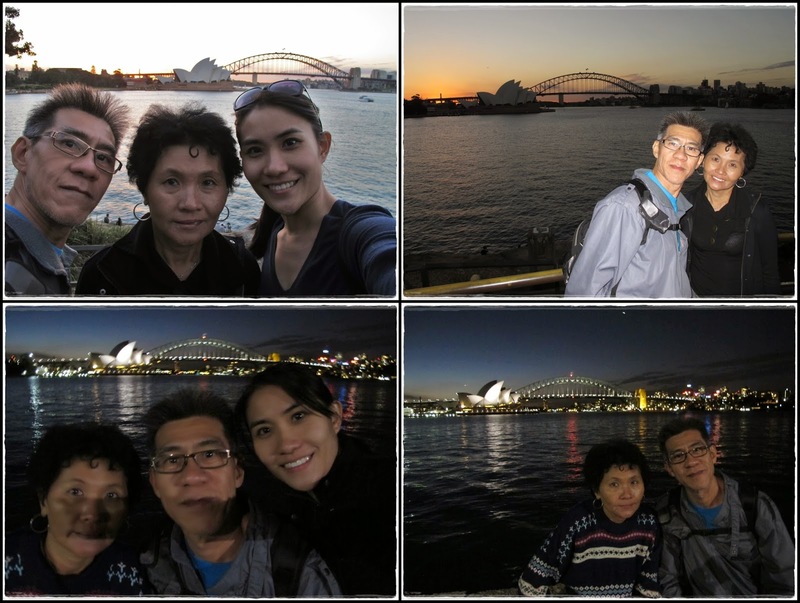 Finally…the two landmarks of Sydney…Harbour Bridge and Opera House!!! 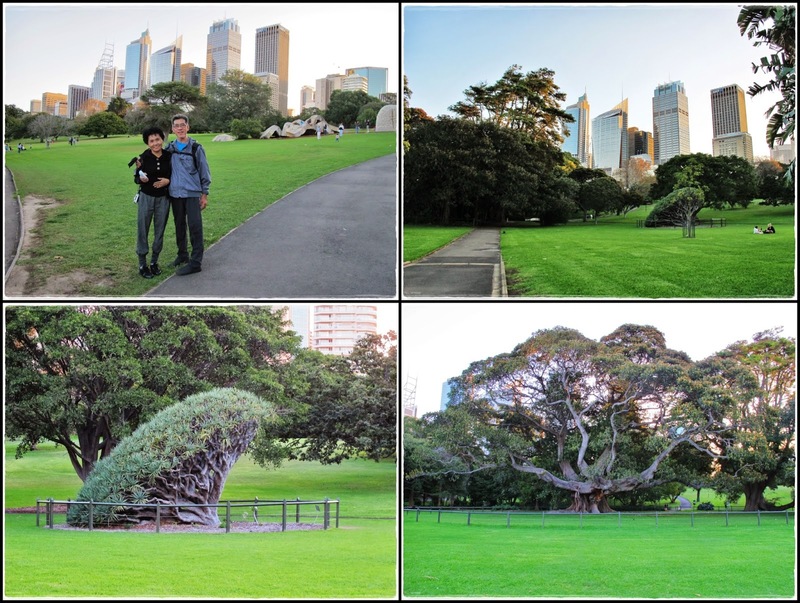 Walked all the way from Circular Quay through the Botanic Gardens to Mrs Macquarie’s Chair for the ‘best’ sunset view of Sydney city. Arrived just in time to catch the beautiful sunset and waited till everything lit up… absolutely stunning!!! Selfie is a must but I don’t like the fact that the photos don’t turn out as nice. Anyway, this view was definitely worth the walk. All in all, we walked a total of approximately 8km in one day. 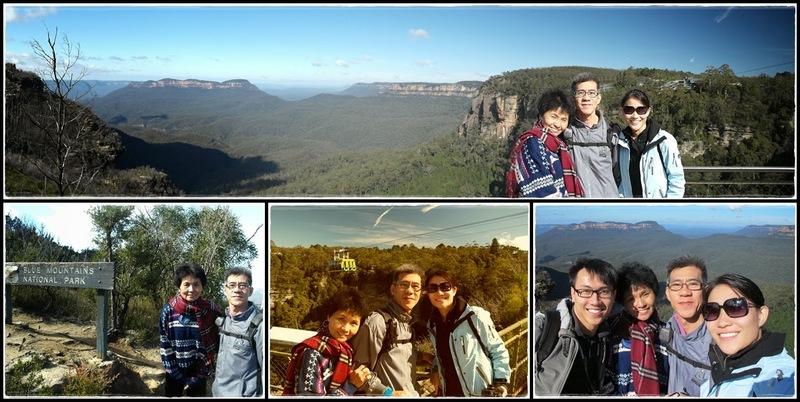 Bro arrived a day after us and it worked out well coz he was able to collect the rented car from the airport as we planned to drive to Blue Mountains on the next day. 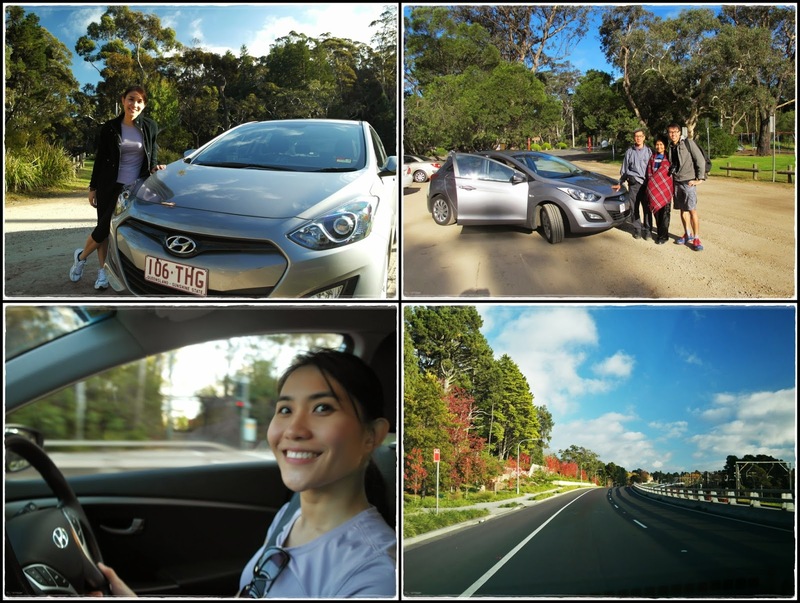 After driving for 2 hours constantly looking at the speed meter to make sure I don’t exceed the speed limit, we finally arrived at Scenic World. We were glad that there weren’t many people yet and most of the ‘early birds’ were parents who brought their kiddos for the Easter hunt. 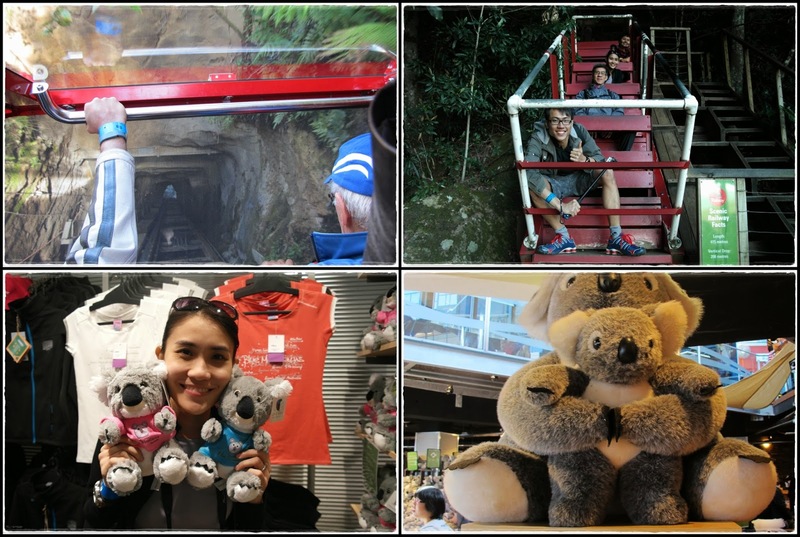 We were gonna follow the Easter hunt trail but we were already off track from the very beginning so we just went with the flow and started off with the cableway ride. 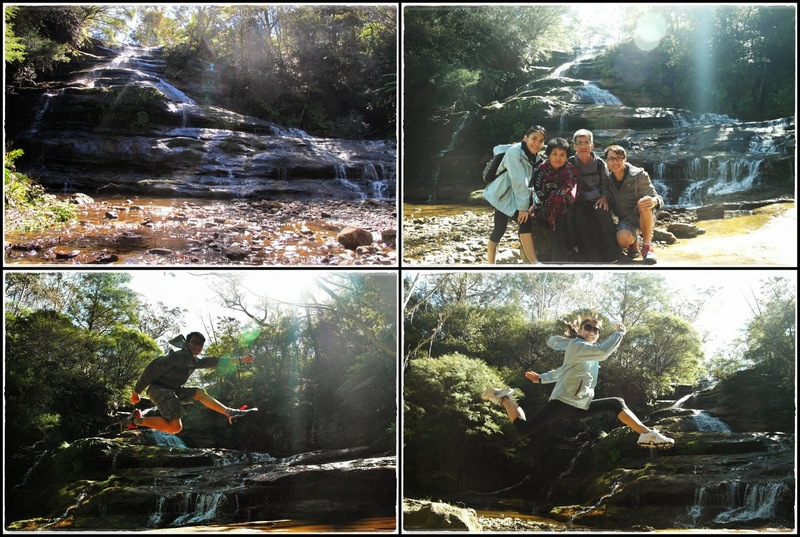 Goodbye Scenic World! 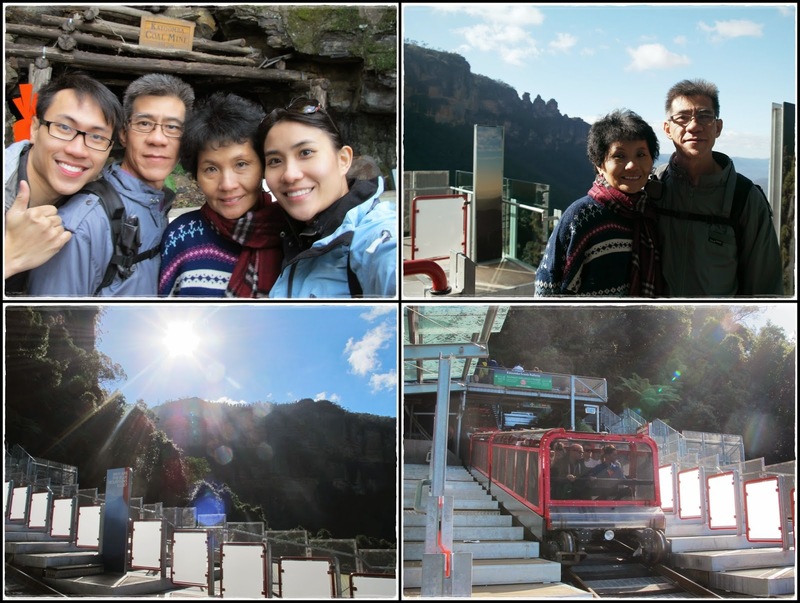 Goodbye Blue Mountains! 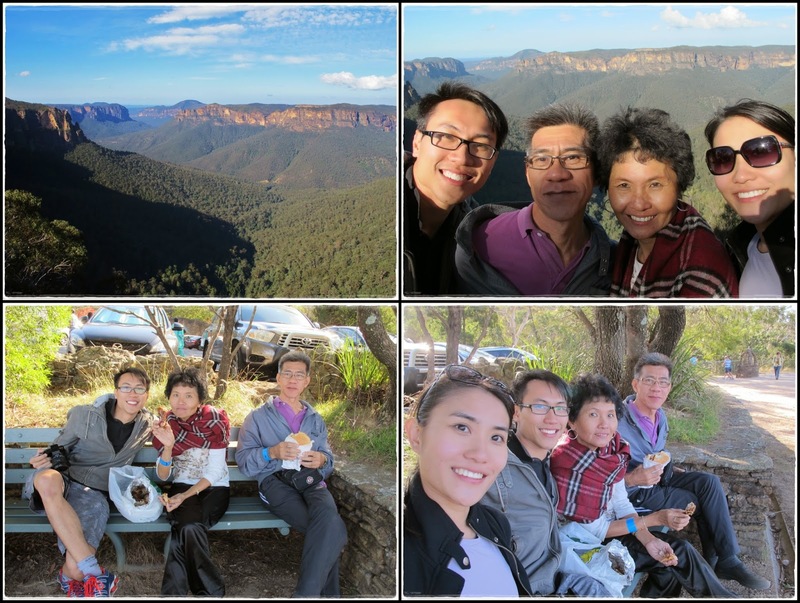 Had fish & chips for lunch at Govette's Leap with a magnificent view of the mountains. Stayed at Ibis Budget Hotel right beside the domestic terminal for our last night in Sydney as we had an early morning flight to catch on the next day.